Bird observatories are research stations established mainly for the study of migration, particularly by means of ringing. There are now 20 scattered around the British Isles at key points on migration routes, on coastal promontories or small islands. Part of their attraction is the regular occurrence of rarities that are found each year at these observatories. 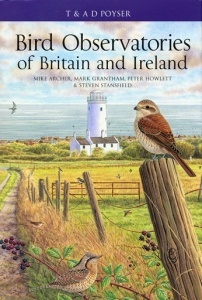 Written by wardens and ringers from each location, Bird Observatories of the British Isles is a timely new edition of one of the earliest Poyser titles. 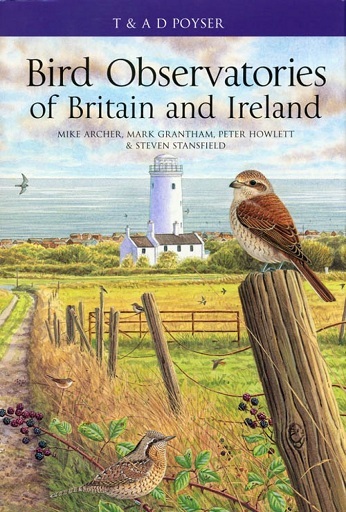 It includes detailed coverage of the history, location, habitats and ornithological interest of each observatory, including summaries and tables of noteworthy events. Hardback; 592 pages.